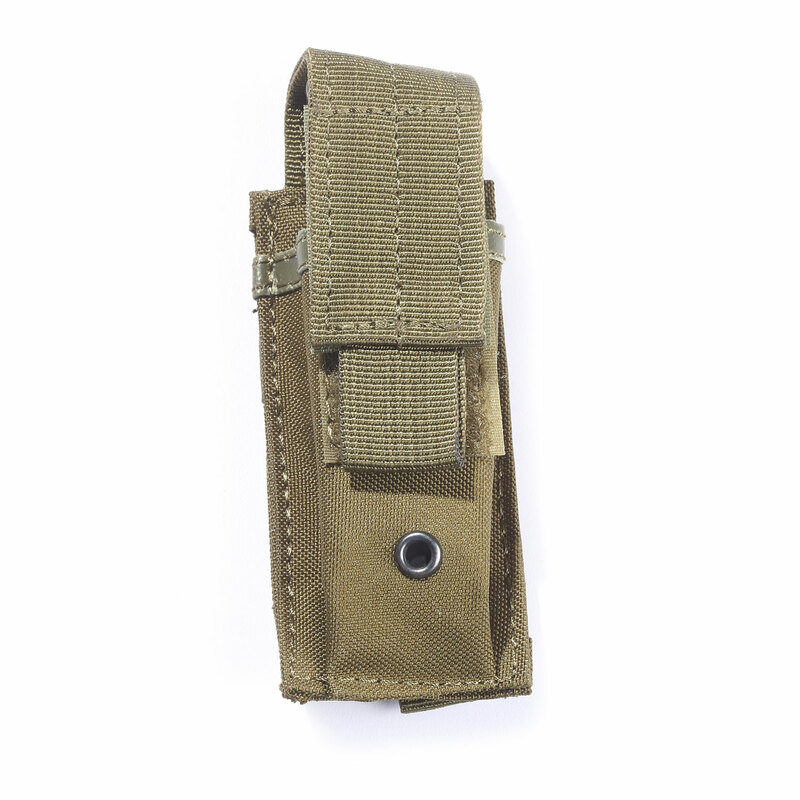 5ive Star Gear’s Single Pistol Mag Pouch features a hook-and-loop full flap cover with a quick open assist pull tab. 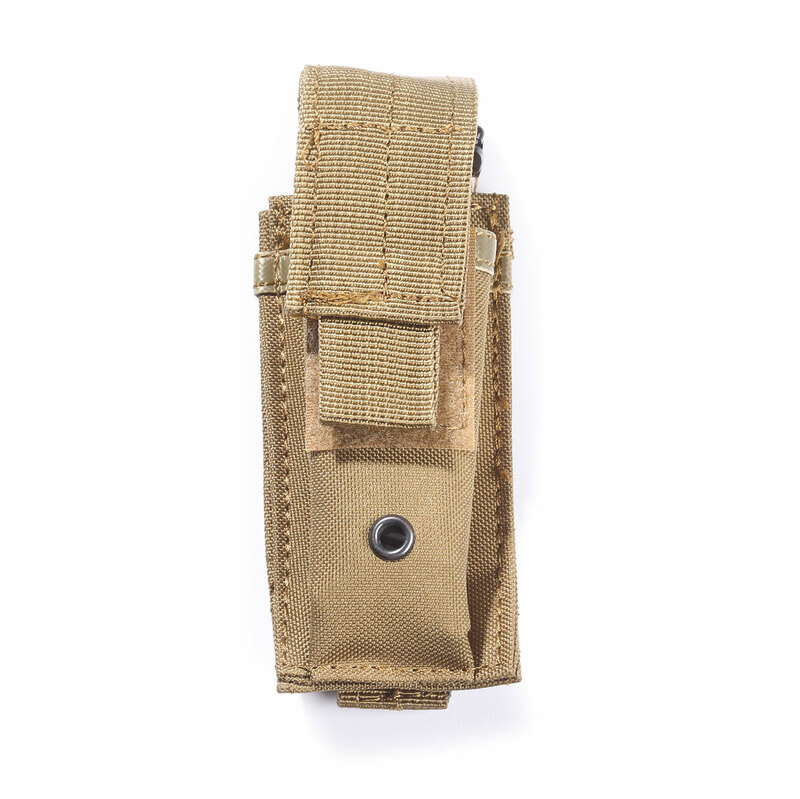 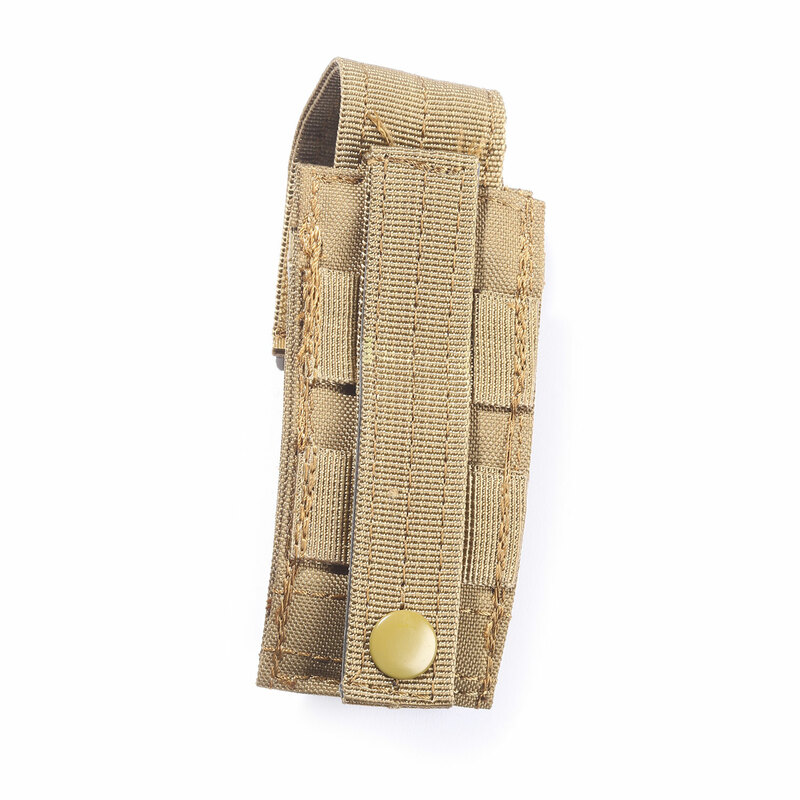 Adjustable for short or tall magazines and can also be used as a flashlight, knife or tool pouch. 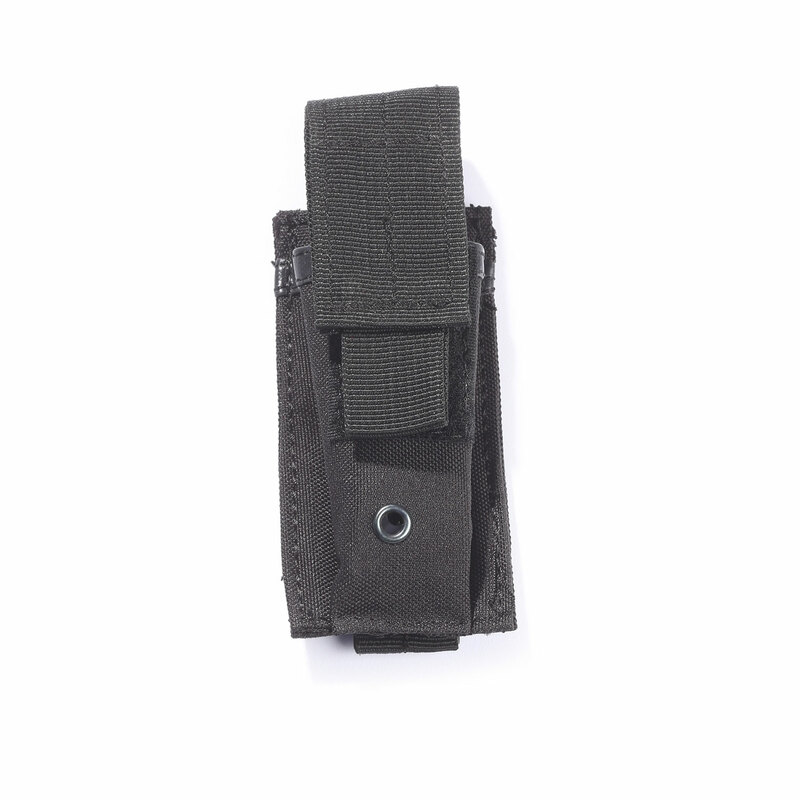 Allows modular attachment by reinforced universal straps to vests, packs, range bags, or other equipment. 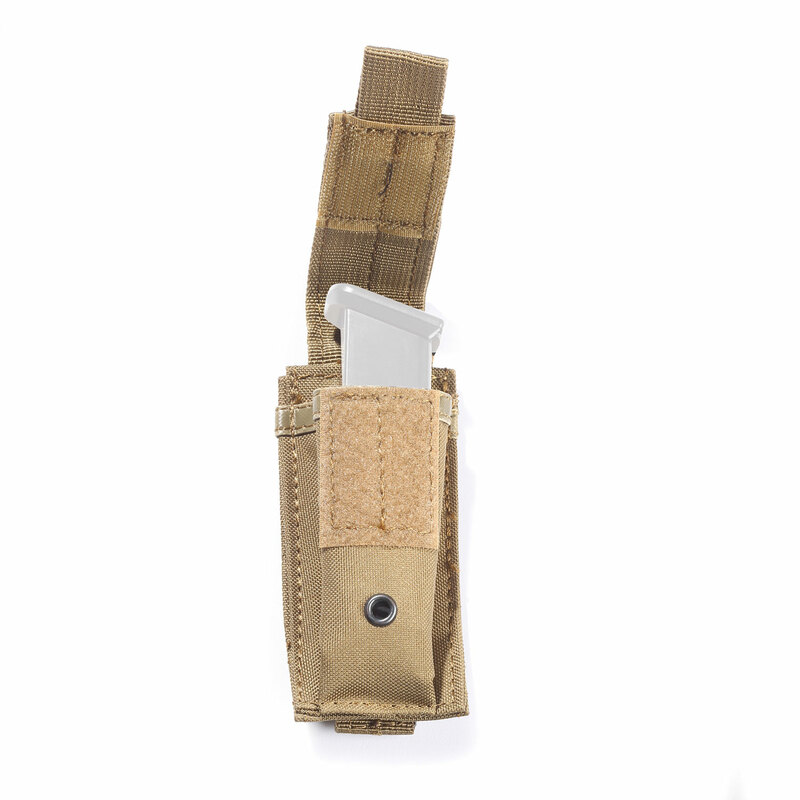 4" x 2½" x 1"